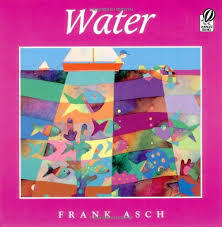 Water is rain. Water is dew. Water is ice and snow.Water is high in the sky. Water is deep in the earth. 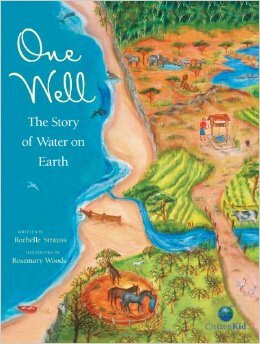 Simple text and gorgeous water color and acrylic illustrations celebrate water, our most precious resource. 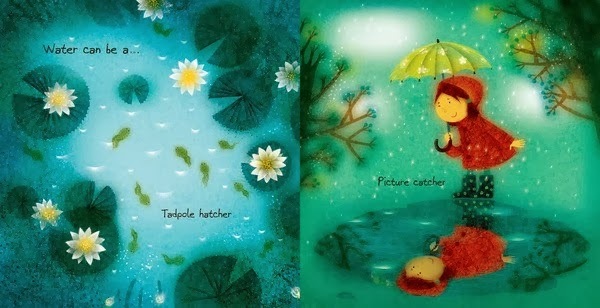 Water can be… Tadpole hatcher. Picture Catcher. Otter feeder. Downhill speeder. 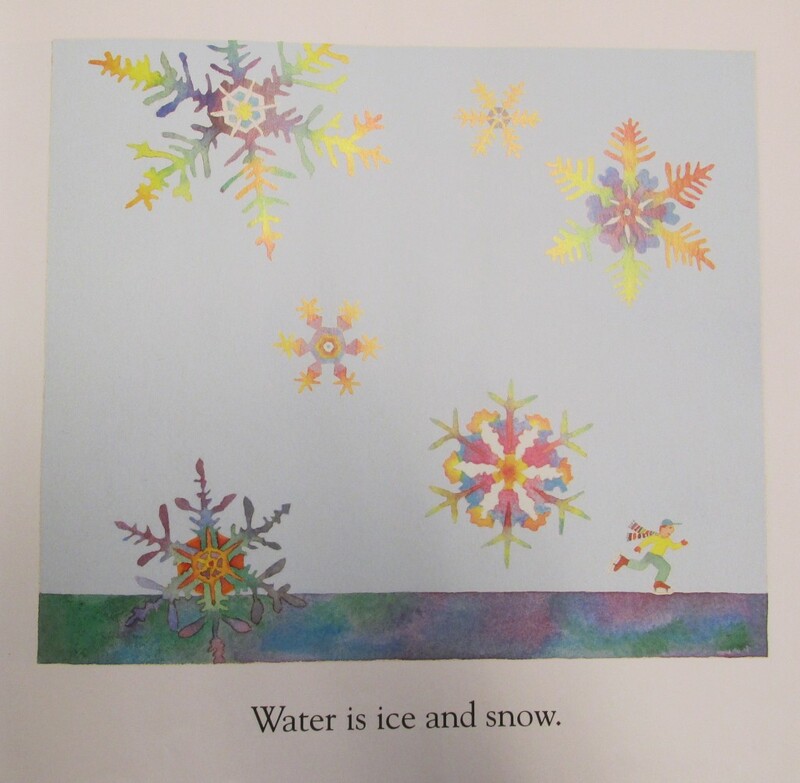 Another gorgeous book with simple text sharing all the things water can be throughout the seasons and in daily life. Water flows from a hose. It wobbles in blue pools. It fills your cup up. But where does it come from? 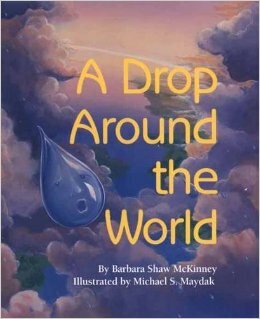 This book is a story of the water cycle. 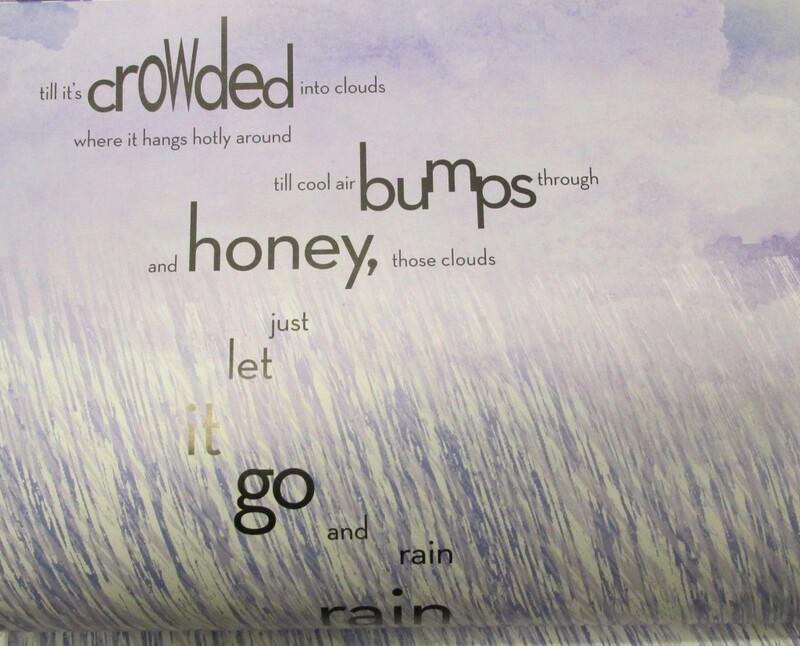 It is by no means a dry, factual book, but rather a story of the water cycle that uses wonderful language like, “Thirsty air licks it from lakes, sips it from ponds [and] guzzles it from oceans.” The printed words on each page show the meaning of the words. 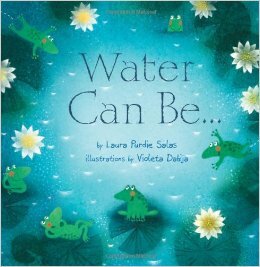 And, the book urges readers to conserve water and keep it clean. Here are a few other books that caught my eye. Thanks for sharing WATER CAN BE… here. I’m so glad you enjoyed it. 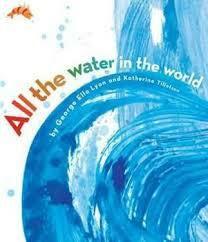 And I LOVE All the Water in the World! 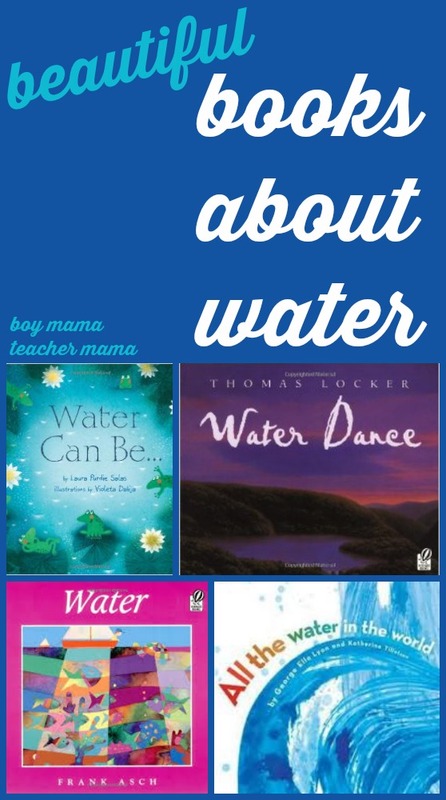 I LOVE Water Can Be! It is a gorgeous book and we are having a great time with it! !